This Bible study is held every Thursday starting with treats at 9:45 a.m. and Bible Study from 10-11:00 a.m. Pastor Lisa Richardson leads a discussion of select scriptures. 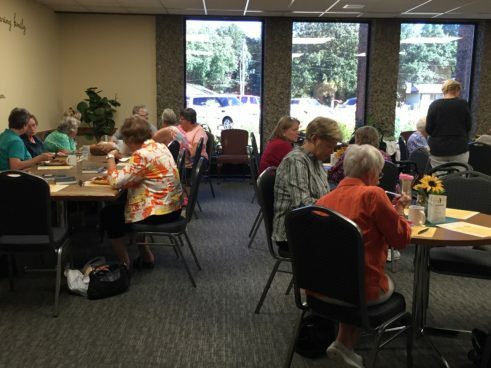 Join this inspirational group of women as they study the Bible, support one another, pray for those in need, and enjoy good Christian fellowship with one another. All women are welcome to come to any Bible study at any time.